Class of 2021 defensive specialist and libero Cassie Kuerschen has committed to the University of Tennessee women’s volleyball program. Standing at 5’8″, Kuerschen is a sophomore at Knoxville Catholic High School in Tennessee. This season, her second year of varsity, she logged 459 digs (6.5 per set), 47 assists (0.7 per set), 36 aces (0.5 per set) and a .947 reception percentage according to her MaxPreps profile. She also helped the team to a Class AA State Runner-Up finish and had 26 digs in the title match. For her individual play, Kuerschen was named the District 3-AA Defensive Player/Libero of the Year. 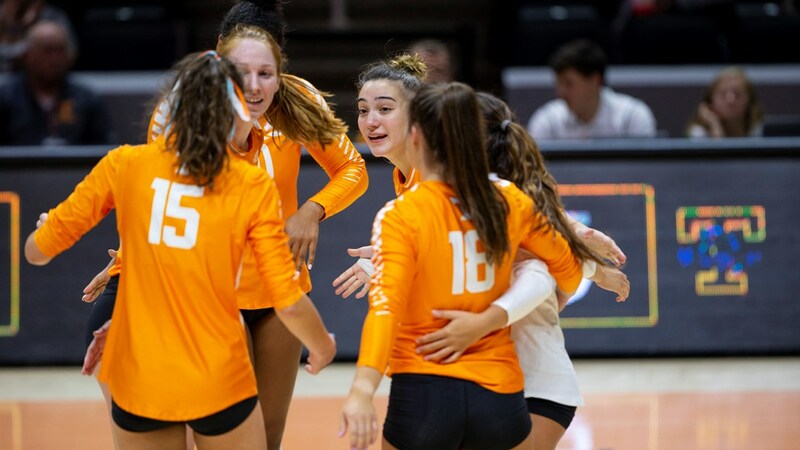 Tennessee is currently ranked 23rd in the latest VolleyMob Top 25 and off to a 17-5 start with an 8-2 mark in the Southeastern Conference (SEC).